RJ Krohn arrived with a bang. 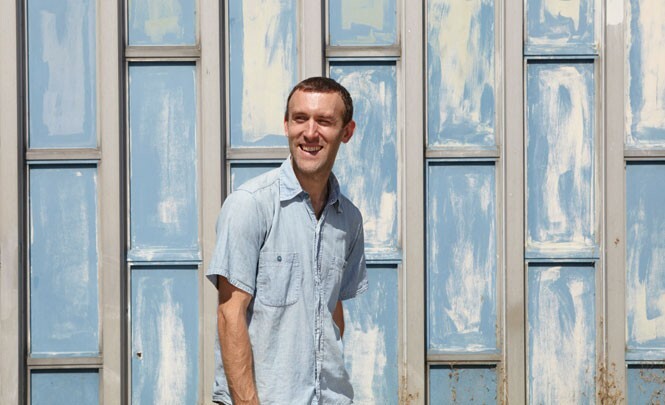 Deadringer, his 2002 debut as RJD2 for seminal post-millennial independent hip-hop label Definitive Jux, was a herald, a continent-wide swath of cinematic scope and subterranean grit that announced Krohn as left-field hip-hop's sampling savior, an equal to (and not merely an imitator of) DJ Shadow. But even as the record drew raves, Krohn could see the writing on the wall. "I realized pretty much right around the time that [Deadringer] came out that it wasn't going to be sustainable for me to build a career solely making sample-based music," Krohn says. The cut & paste confines of sampling weren't letting RJD2 grow, so, effectively, he sought to become his own sample bay. "The next avenue that seemed logical to me was to re-create the environment in which those samples were recorded," he says. "If you can't sample them, get as close as you can—which means buying original instruments, and it becomes a whole rabbit hole." The chunk of change Krohn would have dedicated toward scouring record stores for dusty sample fodder he now dedicates toward building his collection of recording gear. To wit: While in Salt Lake City in 2004, Krohn remembers, he bought two vintage synthesizers, including a Sequential Circuits Prophet 5—a highly sought-after programmable analog synth. "If you're buying a record for the sake of sample fodder, it basically has a single use, and then it's shot, you know what I mean?" Krohn says. "With something like a synthesizer, you can get years if not decades out of it. There are only so many times you can recontextualize and re-flip a sample to make it new." As his tonal palette has grown, Krohn has reconfigured RJD2 in myriad ways: underground rap superproducer (Aceyalone's 2006 banger Magnificent City) to electronic indie-pop singer-songwriter (2007's The Third Hand) to lite-funk neo-soul fusionist (2011's The Colossus). Ironically, Krohn made his widest-ranging album by embracing the biggest limitation of his most iconic piece of gear: his Akai MPC controller. While he previously attempted to simulate live musicians, Krohn welcomed the "angular, digitized, sequenced" nature of the MPC, saying "the freedom to play and write" on it overrode his desire to re-create samples. "Now, I kind of don't care about trying to make something sound like a sample."